We stayed there on our way down and back from the Keys. We had water views on both sides. Slightly noisy from the road. Only 10 spaces. Concrete pads and picnic tables and grill. No propane. Office is located near the water, a Good Sam’s Park, however if you pay online you did not receive the discount. Also, discount is for only one night, not the 5 we spent on the way down. The internet worked the first two days and then it said no internet connection. Lots of restaurants nearby. Tried Chucks seafood, expensive and you did not get a lot. Beach is across the road. 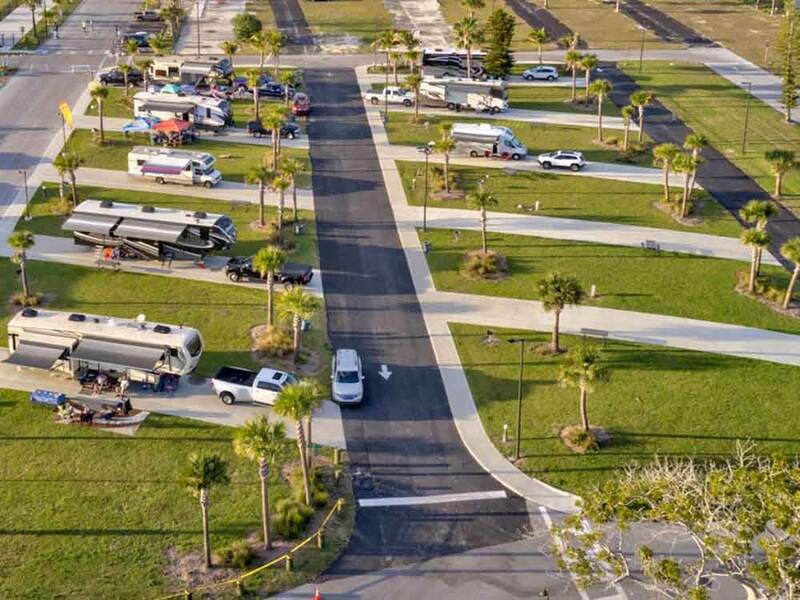 New marina with 198 Wet Slips and up to 60' luxury waterfront RV sites. Inshore fishing & boating at your doorstep with off-shore fishing nearby. Located on Hutchinson Island with breathtaking views of Intracoastal Waterway.